It's not cheap to buy a home these days, and we're not just talking about the price of the home itself. Other out-of-pocket costs that crop up during the purchasing process, or even when you're moving in, can put an unexpected strain on your already-hurting bank account. For starters, you'll need to budget between 2% and 5% of the home's purchase price for closing costs, including appraiser, lender, and title fees. New regulations passed last year mean lenders have to be more transparent about these fees, and (as long as you read your closing documents) you should have a relatively good idea of what they'll be when your lender makes you an offer. Unfortunately those closing costs only make up a portion of the added expenses you'll face. "Most people just look at the sticker price of the house and the mortgage payment," says Svenja Gudell, chief economist at the housing site Zillow. "But there are a lot of additional costs that can shock first-time homebuyers." 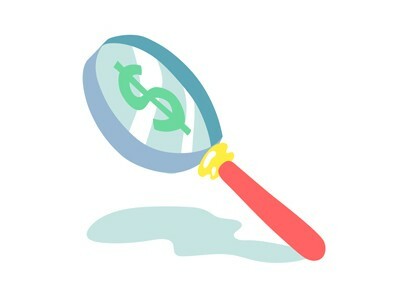 Once you've made an offer on a property, you'll usually need to pay an inspector a few hundred bucks to give the home a once-over. If he finds any potential problems -- structural issues or asbestos, for example -- you may have to pay another specialist to come in and offer a professional assessment. While it can be tempting to skip the inspection to save cash (or to make a more attractive offer to a seller), it's worth the outlay to get peace of mind that the home is in good condition -- or negotiating ammo to make sure the price reflects the necessary repairs. "It's money well spent," says Cindy Hamann, chair of the Houston Association of Realtors. Homebuyers are also often surprised with the extra cash -- beyond closing costs -- that they need to spend at the closing table. Many lenders require you to pay a year's taxes and mortgage upfront. If the seller prepaid any taxes or homeowners association dues, you'll have to pay her the prorated amount for the rest of the year or quarter. "Once you're done with all the fees and the deposits for reserves, you may end up bringing many more thousands of dollars than you thought to the closing," says Keith Gumbinger, vice president of HSH.com. Once you've officially closed, you'll need to pay for the move itself. That cost will vary considerably depending on where you live, how far you're moving, and how much stuff you'll need to haul. In general, though, expect to pay at least a few thousand dollars for professional movers. It's easy to overpay for movers, so get quotes from a few companies, and hire someone who's licensed by the Federal Motor Carrier Safety Administration and has good reviews online (even better if you can get a referral from a friend). 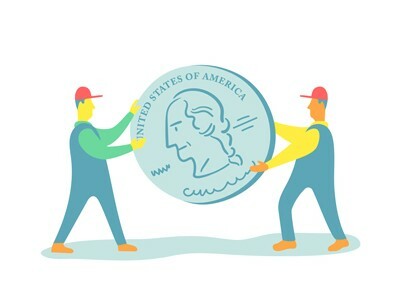 While you may be able to put off renovations or furniture purchases, there are some costs that new homeowners face right away. You'll likely want to hire a locksmith to change the locks, for example, and there could be deposits or setup fees for getting your utilities started. As a new homeowner, you'll also now be on the hook for both routine, and unplanned maintenance costs on the home. Experienced realtors say you should expect something to break or need replacing within your first year. Set up an emergency savings account with at least six months of expenses that you can tap if your roof springs a leak or the heater suddenly stops working. That way you won't have to turn to credit cards to cover the unexpected, and you can spend some time enjoying your experience as a new homeowner, rather than worrying about how you're going to pay for it.